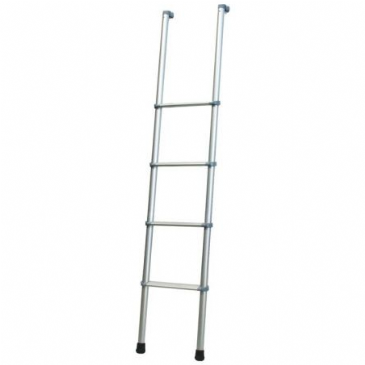 This Fiamma Deluxe 5D External Ladder is an anodised aluminium ladder with 10 non-slip steps for the utmost safety. 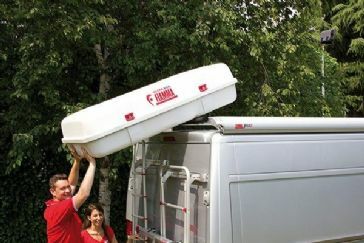 Featuring a lightweight and sturdy design. 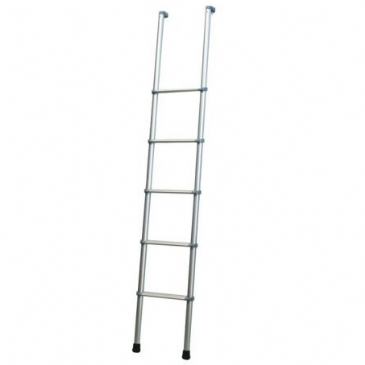 This Fiamma Deluxe 8 External Ladder is an anodised aluminium ladder with 8 non-slip steps for the utmost safety. 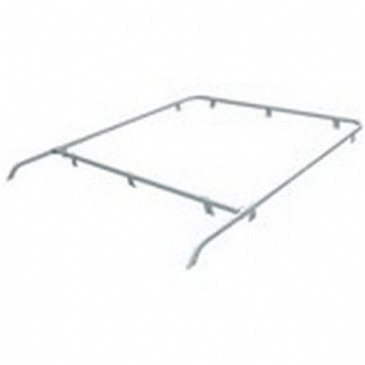 Featuring a lightweight and sturdy design. 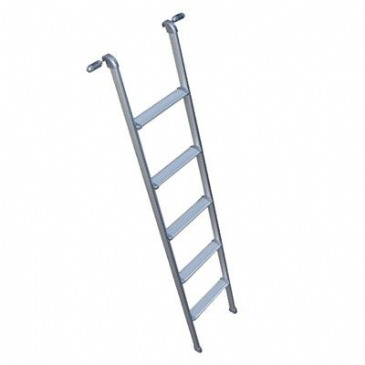 Sturdy and lightweight, the Deluxe Sprinter ladder is made with ​Ø 30mm aluminium tubes that are 2mm thick. 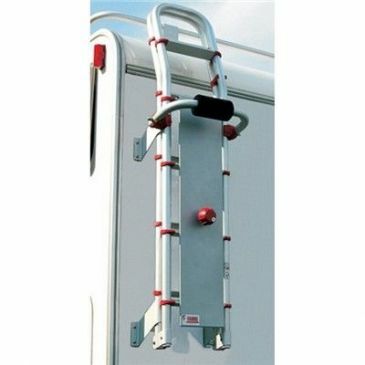 The Fiamma Safe Ladder is designed to prevent unauthorised access to the ladder and to prevent theft of items on the roof of the motorhome. 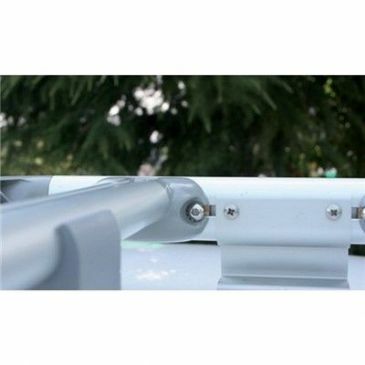 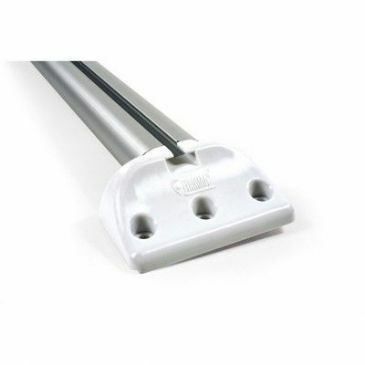 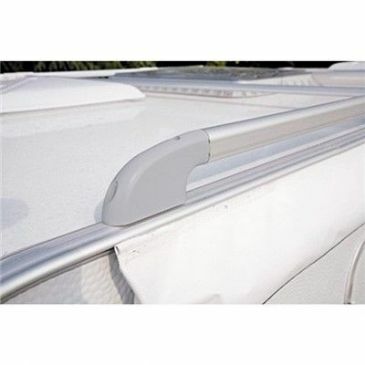 The Fiamma Safe Ladder is an aluminium plate that when locked onto the ladder step prevents access to surrounding steps, thus preventing unauthorised access to the roof of the motorhome. 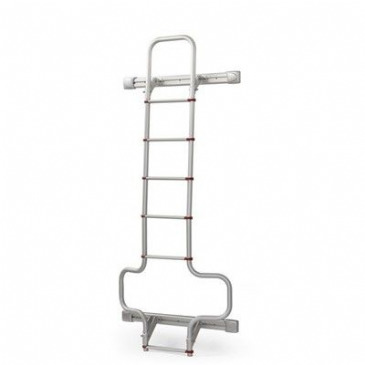 New concept ladder from Project 2000. 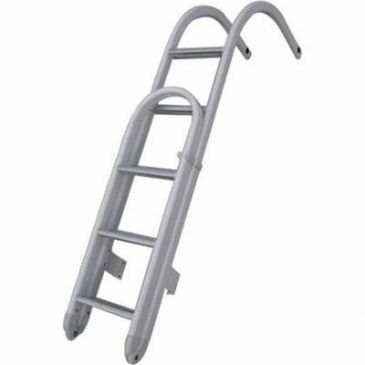 This ladder comprises of 2 parts. 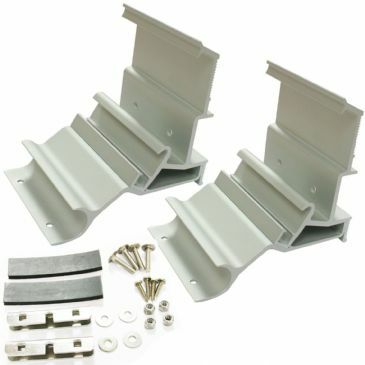 When the ladder is to be used two locking bolts that sit either side of the bottom half of the ladder are retracted, thus allowing the lower half to pivot downwards. 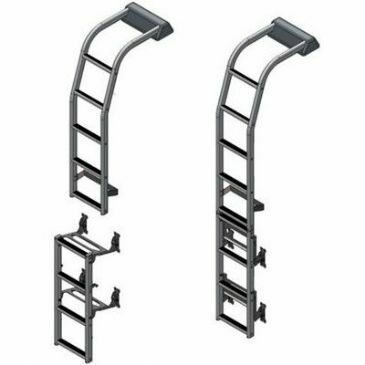 This Thule Omni 6 Step Ladder is an anodised aluminium ladder with 6 steps for the utmost safety. 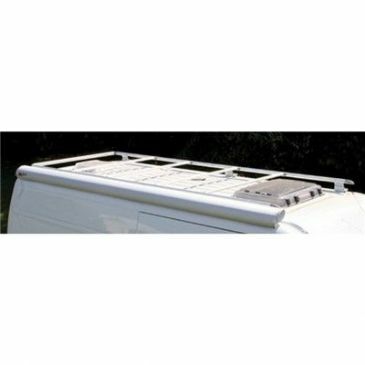 Ideal for external use in your caravan, campervan, motorhome, or other recreational vehicle.